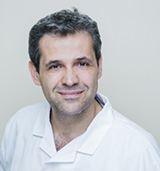 Dr. Ali Hellani, PhD, is a world-renowned Reproductive Geneticist with over 15 years of experience, particularly in Pre-Implantation Genetic Diagnosis (PGD). In his early years, Dr. Hellani established the first Pre-Implantation Genetic Diagnosis laboratory in the Gulf Region at King Faisal Specialist Hospital in Saudi Arabia with a grant from HRH Prince Al Waleed Bin Talal Al Saud. He went on to establish the state of the art Genetic Diagnosis Lab of Saad Specialist Hospital-Al Khobar. Dr. Hellani was the first scientist worldwide to diagnose multiple diseases on a single cell as well as the first to diagnose the whole set of chromosomes on a single cell. He is currently the first and only scientist to perform PGD on single gene disorders with direct HLA matching. Dr. Hellani has written 46 publications and is a reference lab for the screening of genetic diseases and PGD for many IVF centers. Education: Dr. Hellani holds a PhD from Claude Bernard University in France.